The "PAGE_FAULT_IN_NONPAGED_AREA" BSOD (Blue Screen Of Death) error can happen for several reasons on a Windows computer, e.g. after the installation of an incompatible driver or program (e.g. CPU-Z), corrupted file system, or in laptops that support hybrid video card configuration (dual-graphic card configuration), after the installation of the Platform Update KB2670838 because of a compatibility issue with your currently installed graphic card drivers, etc.. To resolve the PAGE FAULT IN NONPAGED AREA BSOD error, follow the solutions below. How to fix the “PAGE_FAULT_IN_NONPAGED_AREA” BSOD – STOP: 0x00000050 error. 1. Make sure that your computer is clean from viruses, malware, etc. Detailed instructions on how you can do that you can find in this guide: Quick Malware Scan and Removal Guide. 2. Try to disable your antivirus software and restart your computer. 3. Remove any recently added hardware on your computer and restart your computer to find out if the error recurs. 4. Perform a clean Windows boot to find out if a service or a startup program causes the STOP: 0x00000050 error. Solution 1: Uninstall the latest installed program. 1. 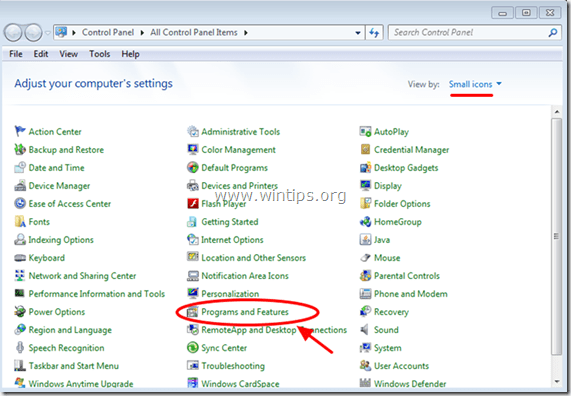 Navigate to Windows Control Panel. 2. Double click to open Programs and Features. Solution 2: Uninstall and re-install essential device drivers. * Uninstall one driver each time and then restart your computer. If you still receive the "PAGE_FAULT_IN_NONPAGED_AREA" error after the restart, continue to uninstall the next device driver in the list below, until you find which one causes the problem. After finding it, proceed to download and install the latest driver for this device from the manufacturer's website. 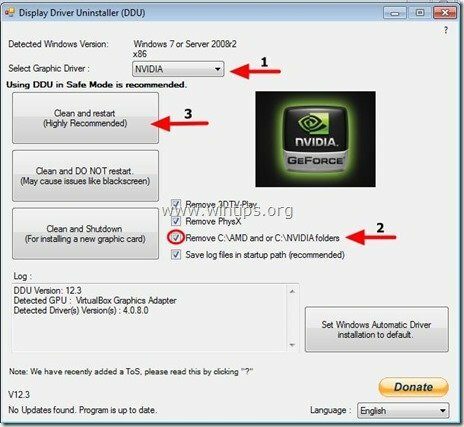 Note: For the NVIDIA or AMD ATI Video cards, you can use the Display Driver Uninstaller utility (DDU) to completely uninstall the graphic drivers. Detailed instructions on how you can use DDU you can find at Step 1 below. 3. At device manager, expand Display Adapters, right-click on the installed Video adapter (e.g. 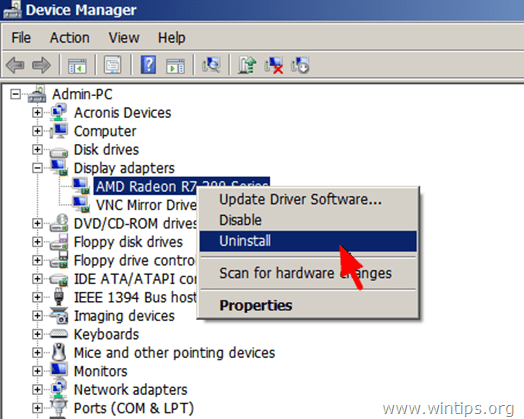 AMD Radeon) and select Uninstall. 4. 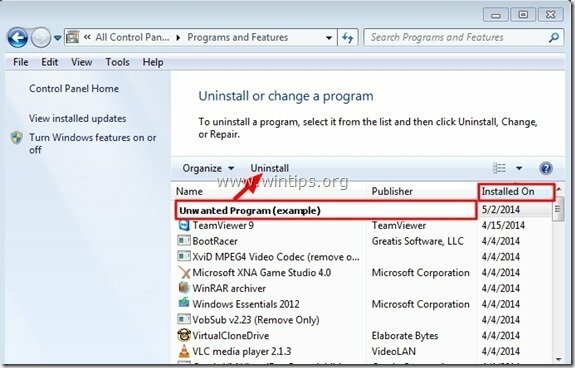 When the Uninstall operation is completed, also remove any software related to the uninstalled device from the installed programs (Control Panel > Programs and Features). 6. Install the latest driver for the uninstalled device(s). Note: The solutions below are for laptops that support dual-graphic card configuration (e.g. Intel & AMD). 4. In the search box (at top right), type “kb2670838”. 5. 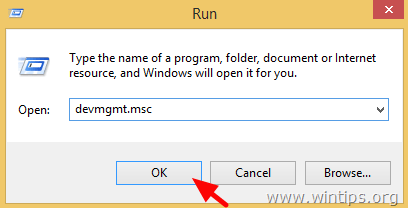 Now select the “Update for Microsoft Windows (KB2670838)” and click “Uninstall”. 6. Restart your computer and check if the PAGE_FAULT_IN_NONPAGED_AREA BSOD problem is solved. 2. Follow the instructions to install the update and then check again if the PAGE_FAULT_IN_NONPAGED_AREA BSOD error is solved. Solution 5: Uninstall and re-Install the latest Video Card drivers. Step 1: Uninstall the current VGA driver using DDU utility. 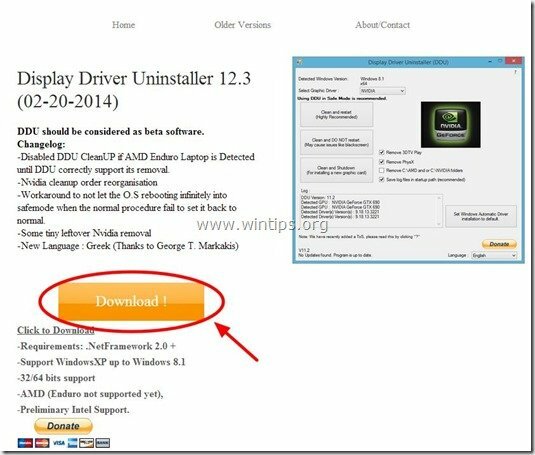 * Info: Display Driver Uninstaller is a driver removal utility that can help you completely uninstall AMD/NVIDIA graphics card drivers and packages from your system, without leaving leftovers behind (including registry keys, folders and files, driver store). 2. Press the Download button and save the Display Driver Uninstaller utility on your desktop. 3. 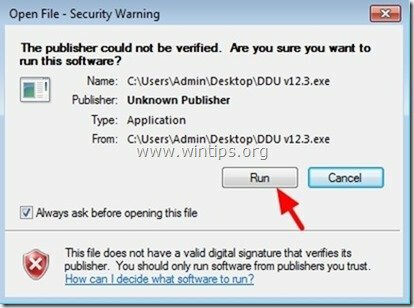 Double-click to run DDU v12.3.exe. 4. Specify a destination folder for the extracted files (e.g “C:\Users\Admin\Desktop\DDUv123”) and then press the “Extract” button. 5. When the extraction is completed, open the destination folder (e.g. “DDUv123” on your Desktop) and double-click at “Display Driver Uninstaller” application. Note: The described procedure below is usually effective and doesn't cause problems to your computer. But for safety reasons, it's better to take a backup of your personal files before you use the DDU utility. 7. When the Display Driver Uninstaller main application starts, select (1) your graphic card model (e.g. “NVIDIA”), check (2) the “Remove C:\AMD and or C:\NVIDIA folders” option and then press the “Clean and restart (Highly Recommended)” button. 8. After your computer restarts, proceed to step 2. Step 2: Download and install latest Graphics Driver. « Remove Get-Search.com browser hijacker. » Remove MySearch123.com from Chrome, Firefox and Internet Explorer. all of these solutions assume that windows can be opened. my computer (lenovo g560 laptop) will not go past the page fault notification. If I attempt to use system repair or open windows manually it just goes back to the error message. I am not able to use windows at all……Now What? @Jim Tate: At your case you have to perform a clean Windows installation. If the problem persists, then something is going wrong with your graphics card or your hard disk.